The plethora of the emerged radio frequency applications makes the frequency spectrum crowded by many applications and hence the ability to detect specific application’s frequency without distortion is a difficult task to achieve. The goal is to achieve a method to mitigate the highest interferer power in the frequency spectrum in order to eliminate the distortion. 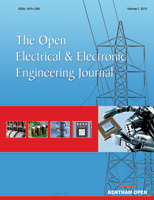 This paper presents the application of the proposed tunable 6th-order notch filter on Ultra-Wideband (UWB) Complementary Metal-Oxide-Semiconductor (CMOS) Low Noise Amplifier (LNA) utilising self-forward body bias (SFBB). The proposed filter presents 23.5dBm minimum interferer rejection (IR) and attenuates the interferer signal from -43dBm to -67dBm at frequency 5.17GHz. In addition, the maximum IR is 40dBm and attenuates the interferer signal from -41dBm to -81dBm at frequency 5.785GHz. The proposed filter provides coarse tuning with frequency spacing (10MHz) and soft tuning with frequency spacing (1MHz). The UWB CMOS LNA consumes only 5.22mW from a supply voltage of 1.2V and presents a maximum gain of 14dB at frequency 6.25GHz in the -3dB bandwidth from 4.75GHz to 7.5GHz. In addition, the average noise figure is 3.1dB and the input insertion losses (S11) is less than -12dB along the designed bandwidth. The simulation is performed in Advanced Design System (ADS2016.01) software utilising 180nm Taiwan Semiconductor Manufacturing Company (TSMC) Berkeley Short-channel Insulated Gate Field Effect Model (BSIM3v3) model files. The proposed method achieves high interferer power rejection with both soft and coarse tuning. Keywords: CMOS LNA, Low power, RF receiver, TSMC, Notch filter, ADS. © 2018 Khaleel and Nadhim Abbas et al.